It’s winter, we’re bored, we want to go somewhere but not really, I guess I could watch another Netflix show but I should really be productive… Time to hit up one of the local coffee shops around Champaign-Urbana! Flying Machine Avionics is a fairly new location in terms of Champaign history, but it has taken the coffee scene in a storm! With Page Roasting Company, you have freshly roasted coffee at your fingertips that you can buy either for a freshly made coffee or beans for back home. Cafe Kopi is located in Downtown Champaign and has a large variety of drinks from Steamers to Italian Sodas and Yerba Mates, you won’t tire from the selection! Also, it is a great location to view lots of local art as they have an art program! 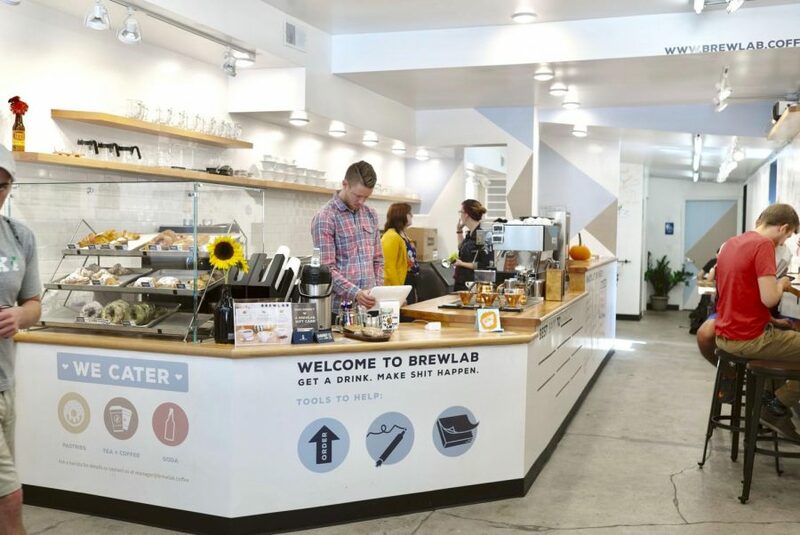 BrewLab is a coffee location that is styled for students! They have whiteboards for you to use and they also have classes for coffee learning and many different events for you to learn! Hammerhead Coffee has many deals for students and is the closest location to the engineering quad for coffee enthusiasts! Off of University Ave and Wright St, there is so much for you to enjoy, such as Bubble Tea! Quite the experience for you to enjoy! “Hammerhead Coffee derives its name from a record label that the founder, Todd Thorstenson, founded in Champaign 20 years ago called Hammerhead Records. Between 1993 and 2000, the label promoted and funded recordings for musical artists that toured nationally and the label’s releases were distributed internationally, received radio airplay around the globe, and had great reviews in well-respected magazines such as Alternative Press, College Music Journal (CMJ), and Hit Parader. On August 17th, 2018, young entrepreneurs and passionate foodies Ryne Thiel, 23, and his fiancé Christine Ahn, 19, acquired the Hammerhead Coffee company with the intention to drastically expand and improve the menu. With the new change of ownership, the menu now includes bubble tea, taiyaki, extremely unique baked delights, Italian sodas, smoothies, breakfast, and lunch. Another Downtown location, Aroma Cafe & Kitchen has so much to offer! The lounge space in the back of the shop is extremely comfortable and there is an outdoor area that is perfect during warmer months (but this is specifically about nice indoor spaces). 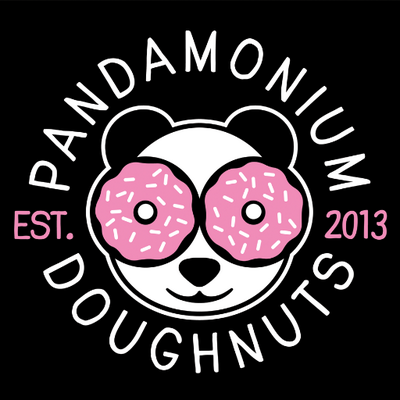 Pandamonium Doughtnuts started out as a home kitchen and van and eventually it opened up a shop that also serves coffee! It doesn’t stay open later in the evening but for an early coffee and delicious doughnuts this may be the place for you! “What began in our home kitchen back in 2012 as a hobby to feed our own doughnut cravings, Pandamonium Doughnuts is now an artisan doughnut shop creating handmade, specialty doughnuts with a unique twist and introducing these new, imaginative creations to Champaign-Urbana, Illinois. Our short history begins in the Fall of 2012, where after many trials and errors, we developed our own doughnut recipe to feed our own doughnut obsession (same recipe is still used today!). We loved coming up with creative flavors and ideas that could not be found in Champaign at the time. Finally in the summer of 2013, through suggestions from friends, we decided to show up at the Urbana’s Market at the Square one Saturday in June – bringing about 40 doughnuts, 2 tables and 2 chairs, and a little stuffed panda doll – and Pandamonium Doughnuts was born! After a few pop-up shops in Urbana at [co][lab] and another farmer’s market season, the food truck hit the road for the first time in November 2014. It wasn’t until October 2017 that we open our first brick-and-mortar in Champaign (1105 Windsor Rd). What sets us apart from other doughnut shops is that not only do we offer innovative, original flavors that bring a refreshing update to the pastry we have all grown up eating, but we are also committed to using only fresh, real ingredients that are: organic and local when available and of the highest quality. We are also one of the few entirely-made-from-scratch doughnut bakeries in Illinois. We actually still use the same exact recipe today that we developed in our home kitchen back in 2012. Which means all our doughnuts are artisan- handmade and created from scratch during the very early morning hours daily using our own unique recipes and techniques and utilizing high-quality, fresh ingredients every day. We also utilize local and organic ingredients whenever possible. We utilize pure extracts and incorporate seasonal flavors throughout the year. We also use artisan techniques and make all our doughnuts from scratch using scratch ingredients each day using our own unique recipe. We do not use any pre-made flour mixes or artificial or “natural” icings that come out of a bucket that contain chemical preservatives and stabilizers many other doughnut shops and bakeries use. Here at Pandamonium, we are a committed from-scratch bakery and make all our doughnuts daily using raw ingredients. We roll out, cut, fry, and decorate all our doughnuts individually by hand. As a small batch, made from scratch bakery, there is a lot of time and TLC that goes in all our doughnuts. This one takes me back! Paradiso is one of the few locations in eastern side of campus! Cafe Paradiso offers a large open space, many windows, and delicious coffee! Make sure to check out their menu and see what you can enjoy on a cold winter day and long papers! Pekara Bakery and Bistro offers a long list of food and a quiet area in the back with Intelligentsia coffee grounds for freshly brewed coffee for you! One of the last locations in Downtown Champaign. “Pekara Bakery & Bistro is a clean label artisan bakery in downtown Champaign. Serving the Champaign-Urbana community since 2005. We pride ourselves on using all natural ingredients in our menu.